This is a simple ebook for kids with easy instructions on how to draw a super cow. Cow is a holy animal and there are different types of cow. If you ask a kid to say a few lines about they would undoubtedly say a long essay about this animal. Do you know what a super cow is? Don’t know? Ok, now tell me who is a super man? Now you could imagine how a super man looks! Get the similar image on the cow with a cape tied to the neck! Still not able to figure out the super cow? Then read this ebook. 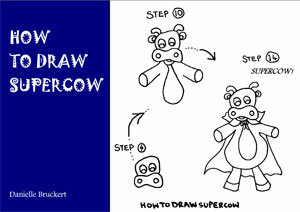 This is a short ebook with easy instructions on drawing a super cow. There are 14 steps to draw the super cow. You can either paper trace the super cow or read the instructions completely, start drawing. OR simply, go step by step instructions to get it perfect on your paper. Things you need would be papers, pencil, erasers, sharpeners, black pen, crayons or coloring pencils or sketches, etc. This is just fun learning for kids. The drawing instructions are so simple and create an interest. For instance, draw a peanut shape on the paper for the cow’s nose. Doesn’t that sound interesting? Now follow the instructions and draw the super cow. Once you complete writing, you can now color the pages. The colorful super cow is given in the ebook. You can follow the instructions for coloring the super cow and can just go with your choices of colors. There is a separate picture marked with numbers to color different parts of the cow and it enables easy coloring. Are you ready? Initially, you can download this ebook and take the print of super cow for tracing it. 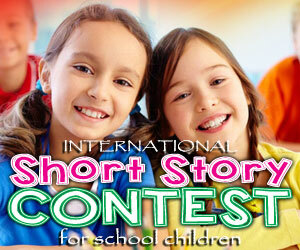 However, if your child loves to draw on his or her own, then give the instructions or let them read it and do it. The easy language can be followed by kids very easily. If you have any such pictures with detailed and simple instructions for kids, please update here.